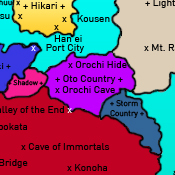 Oto Country - Hidden ? Village and other sights. + Not much is known about this country, as it was newly formed. x. Funds + Population: ?